Menstrual Cup Benefits | Why Mooncup? Helping you to own your period. Made from soft, medical-grade silicone, it’s so comfortable you can’t feel it’s there. While tampons absorb 35% vaginal moisture, the Mooncup menstrual cup won’t dry you out or leave fibres behind. Your Mooncup is always there, ready. No last minute dash to the shops, no stockpiling different absorbency pads or tampons. The Mooncup frees you from having to throw away used products or carry bulky spares (as you head to the toilet or taking up backpack space on your travels). Holding 3 x more than a regular tampon, the Mooncup gives you longer lasting protection on heavier days. And because it’s non-absorbent, it won’t cause dryness when your period’s light. You only need one Mooncup® that pays for itself after 6-8 months – you’re then saving that monthly spend on sanitary protection. Latex-free, hypoallergenic and containing no dyes, perfumes, BPA, phthalates, plastic, bleaches or toxins, the Mooncup menstrual cup is ideal if you have sensitive skin or allergies. Once you’ve bought your Mooncup, we’re here for you if you need support. We offer a unique telephone and email Advice Service run by medical health professionals.  You can be assured that the Mooncup® is manufactured in the UK to the highest quality standards – Mooncup Ltd is ISO 13485 certified and is registered with the FDA. The reusable Mooncup is designed to last for many years and is a simple way to dramatically reduce the waste you produce. Just one of us will use more than 11,000 disposable sanitary products in a lifetime. Every year, over 45 billion feminine hygiene products are disposed of globally. Ocean Conservancy volunteers collected 27,938 used tampons and applicators on our world’s beaches on a single day (International Coastal Cleanup, 2013). The Mooncup is reusable: you only need one. The first sanitary protection manufacturer in the world to be awarded Ethical Business status for its people- and environmentally-friendly practices. 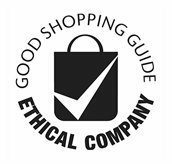 One of the top 10 ethical businesses named by The Good Shopping Guide. 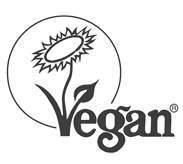 Careful to always use ethically sourced and produced packaging. 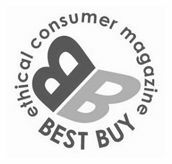 Proudly awarded ‘Best Buy’ status following independent research by Ethical Consumer magazine. 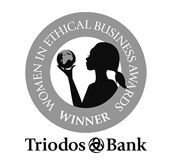 A winner of the Women in Ethical Business Awards. We support menstrual health education programmes around the world with subsidised menstrual cups for charities and non-profit organisations. Committed to transforming the conversation around periods and continuing to break the menstrual taboo. Mooncup. Why not give it a go?